Eliminating the 17-mile journey between Montauk and Springs will help more clams, scallops and oysters reach maturity and thereby help officials boost water quality. East Hampton Town is moving forward with a plan to consolidate its two shellfish facilities to save millions of bivalves that perish each year being transported 17 miles between the sites. Clams, oysters and scallops are born at the town's hatchery in Montauk and raised at its nursery in Springs, which makes for a risky journey for the young shellfish. Those losses mean less mature shellfish harvested by local baymen and less water filtered by the algae-feeding mollusks. And according to John “Barley” Dunne, the town's aquaculture department director, it translates into an estimated market loss of from $200,000 to $500,000. A new plan will combine the facilities and create the Gann Road Environmental Education and Nature — or GREEN — Center at the Springs site. Details on the proposal, which officials say would reduce shellfish mortality and cut down on staff travel times, were discussed during a March 5 town board work session. The new center is projected to open in 2022. 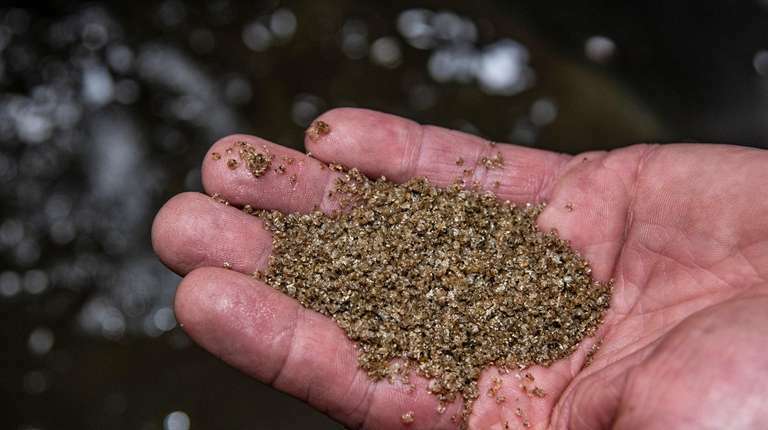 Hatching the town’s millions of oysters, scallops and clams in the same spot where the fledgling shellfish are raised will make the operation more efficient, Dunne said. “A farmer wouldn’t have his or her greenhouse 20 miles away where they would grow their seedlings, and then have to truck them over to their farmland,” he said during the work session. East Hampton was awarded a $400,000 grant for the project in December from the New York State Regional Economic Development Council, the largest amount the town has received through the program. Officials have until April 1 to accept the funding, which requires a $265,000 match from East Hampton, 10 percent of the project’s estimated $2.65 million total. If accepted, the grant will fund facility designs, Lys said. Preliminary plans also call for solar panels, a low-nitrogen sanitary system and rainwater collection methods to be showcased in the educational facility. The town will likely apply for other grants to offset the center’s cost, town officials said. 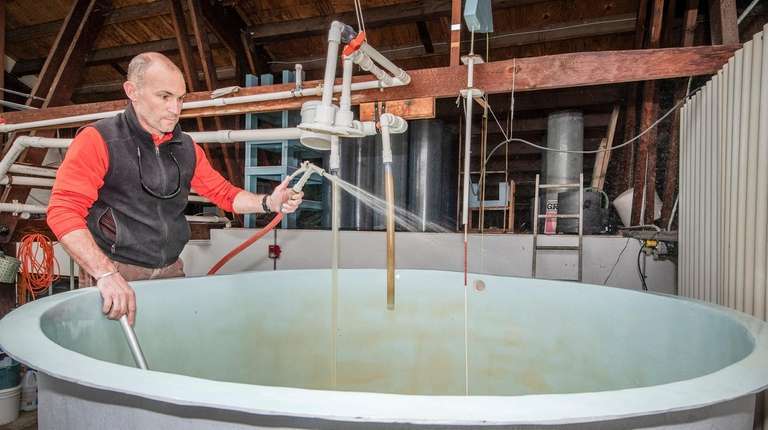 The town’s aquaculture department was established in 1989 to enhance East Hampton’s commercial shellfish stock after the region was hit with toxic brown tide in the mid-1980s. The department produces up to 6 million oysters, 10 million clams and 500,000 bay scallops every year. The town board voted in August to spend $2.1 million to purchase a 1.2-acre Springs property adjacent to the current Gann Road nursery to build a consolidated facility. Lys said the parcel had been family-owned and called the sale a “once-in-a-generation” opportunity. Councilman Jeff Bragman cautioned against building an overly large facility in an otherwise residential neighborhood. Dunne said his department will seek input from community groups. “I think we can develop a structure that will be harmonious in the neighborhood,” Lys said.